The cannabis plant does not grow very high. Medicinal effect with, for example pain. Painkiller XL from Royal Queen Seeds is a feminised cannabis strain which is originated by crossing Respect 13 x Juanita La Lagrimosa. 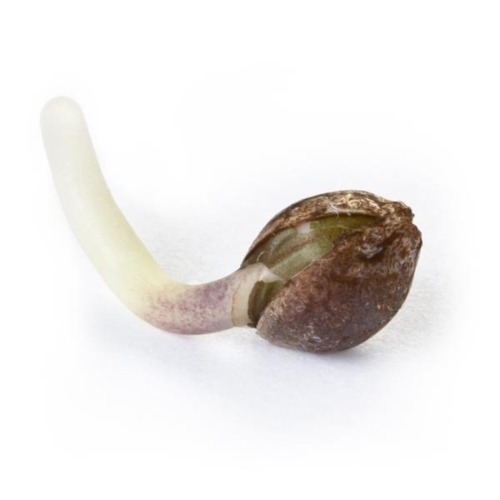 The cannabis seeds will grow into a stable weedplant with mainly Sativa genes. She is very suitable for a medicinal grow of cannabis. 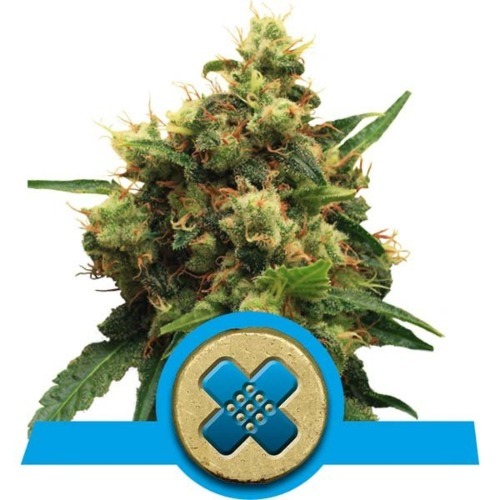 Royal Queen Seeds Painkiller XL cannabis seeds are suitable for an indoor grow and for an outdoor grow. The cannabis plants remain relative small, which makes them ideal for growers with a small room. Growing cannabis out of these cannabis seeds will give you a good yield. Producers of this cannabis strain say that the effect of smoking this weed confers a significant pain relief with a mild, relieve mental euphoria. 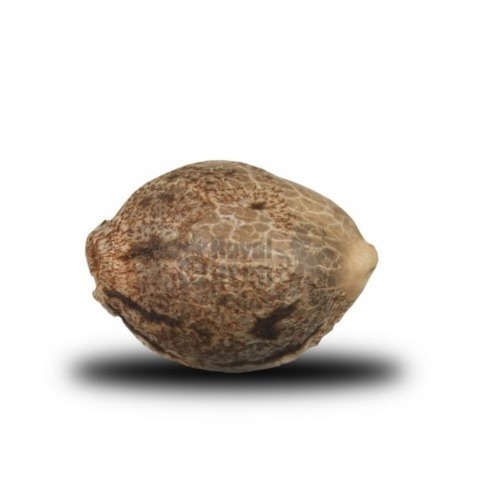 If you want to grow good medicinal cannabis, use this feminised cannabis seeds. 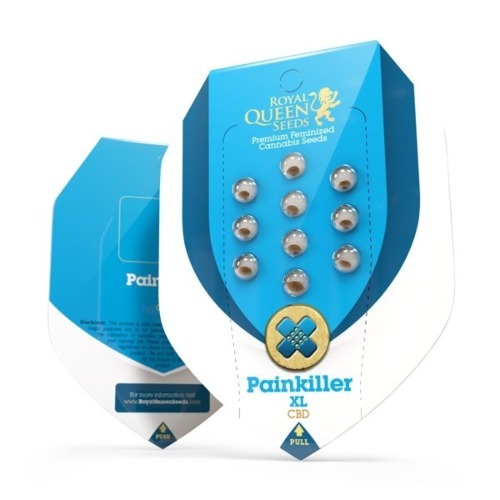 Tell us and our customers what you think of the Painkiller XL CBD from Royal Queen Seeds.